Kimya e Saadat Persian 2 Volumes Complete authored by Hazrat Imam Ghazali r.a. The original Kimya e Saadat book which contains all Masail , manners and other information related to Tasawaf (Spiritualism) in Persian language. 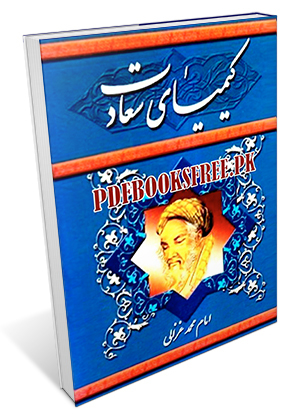 Imam Ghazali’s ” Kimya e Saadat” is now available here on Pakistan viartual library in high quality Pdf document for online reading and download. Check out the following links to read online or download complete 2 volumes in Pdf format and enjoy offline reading.